Born in Korea, Chef Yun launched his culinary career at the age of 21, studying Japanese cuisine in Tokyo’s Shinjuku ward. He worked in a variety of restaurants, learning both classic and modern culinary techniques, always with an emphasis on the careful preparation of high-quality ingredients. Chef Yun arrived in New York City in 1989 and worked in the kitchens of various Asian restaurants. 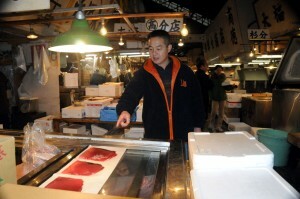 But his ultimate goal was to find an ideal community to open his own restaurant and begin his family. A friend introduced him to Branford, Connecticut, and it’s scenic downtown Green—the perfect location. After several months of redesigning the dining space himself, Chef Yun opened Yooki Yama, which was quickly embraced by the locals. Today, 29 years later, Chef Yun’s masterful sushi, classic Japanese fare, and Korean family-style dishes remain popular with the Branford dining scene. However, while maintaining his focus on serving delicious high-quality food, Chef Yun has spent the past several years refocusing on the health-related benefits of the ingredients he uses and the dishes he creates. For the past many years, he has studied oriental medicines as well as western sciences of health, furthering his knowledge of herbs, a subject he began studying as a very young man in Korea. 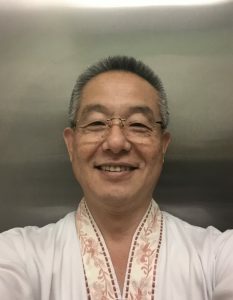 Chef Yun has been applying all of his studies to his cooking techniques and his overall approach to preparing and serving food. In fact, Chef Yun now grows many of the vegetables and fruits he serves. And, as Yooki Yama’s regulars know, Chef Yun continues to drive to New York several times every week to personally hand-pick his seafood at the New Fulton Street Fish Market and to carefully source a wide and growing variety of organic ingredients. The New York Times has called Chef Yun’s food “Japanese cuisine with style and spark.” Clearly, the one word they could have added: Passion.